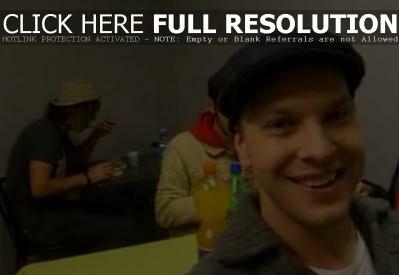 Gavin DeGraw posted another video update from his recently completed European tour, this time in Milan, Italy on November 12th, where the singer songwriter was eating the catered food backstage at Alcatraz with his crew and bandmates. “When you’re at the top like this, you get to eat like this,” Gavin joked. DeGraw next performs in San Antonio on December 2nd. The clip at MySpace has since been removed.